Home / Columnists/ Let us be more responsive and responsible! Let us be more responsive and responsible! If one attribute has to be named that is seriously at an all-time low in Sri Lanka, then that is discipline. Discipline of all types may be but one area stands out. That is our sheer lack discipline with respect to waste management, where no amount of awareness and regulations appear to have had not much positive impact. 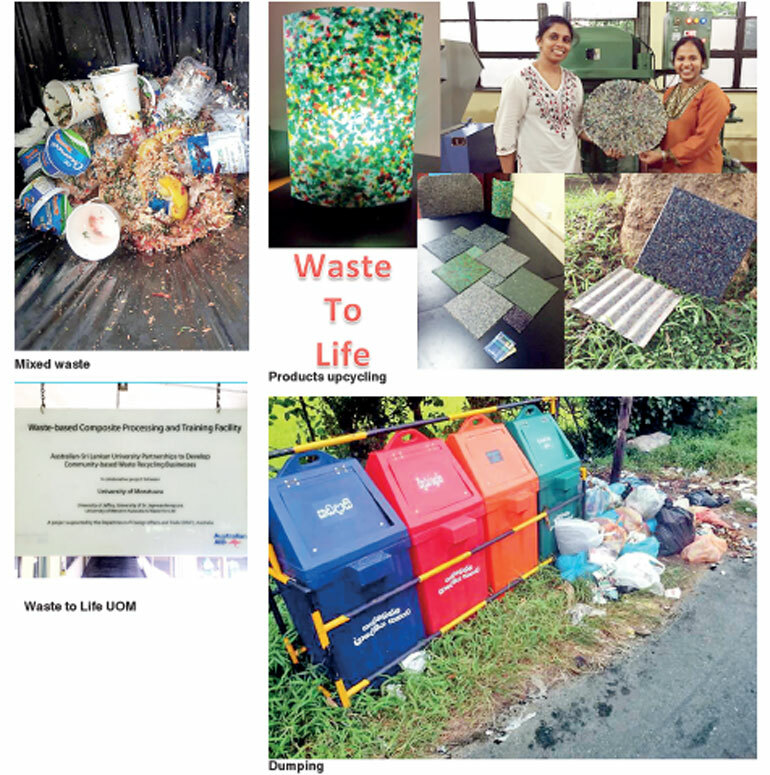 If Meethotamulla incident was to raise one’s awareness and subsequently commitment – “Let us be determined that no such incident to happen again or our own waste is not going to affect our own fellow citizens, etc.” – towards effective waste management. The observations on current practices tell another story. The pictures of waste being deposited outside the bins provided, no commitment towards segregation, littering with no second thoughts are to be seen quite frequently. Call for recyclables to be separated out for reprocessing, etc. is drumming into zero-committed citizens. While we spend on vehicles and drinks we will not spend on a composting bin and really would like that to be given free. Regulations to curb plastic usage were announced not across the entire board but were targeting basically three product categories. This was done with reason and there were enough justification and precedence for enacting such a requirement. Yet our response had been to stage protests and sit-ins and seek exceptions and calling for postponement of the decision. Like the recent incident of a student who was quite committed to find perhaps a state-of-the-art solution to cheat in an examination but appeared to have had zero interest in studying and understanding the subject, those of who are involved with the industry only wants to cite reasons for keeping the business as usual going with no apparent regard to consider reasons for the state’s decision. When the United States moved on with vehicular emission controls for vehicular pollution after identifying the widespread pollution that was taking place with automobiles the catalytic converter technology was not available. One identifies the need and the rest responded with suitable technologies in addition to compliance. There has to be the sharing of vision when one fights for a just cause. Solid waste management demands individual participation in realising the solution. The same with plastics where the producers should share the concern, which led to this state of affairs and should have plans for compliance and definitely innovation rather than fighting for the abolition of proposed regulations. State needs to consider the transition management too. Yes there is the question of a viable alternative. In many an instance the most viable solution is the rejection of these products and resort to action that embed avoidance. However some needs in meeting certain functional requirements cannot easily be met with avoidance. Can Sri Lankan industry be supported to develop bioplastics from raw materials available locally? When one particular ministry comes forward with a regulation in addressing a negative situation, another ministry needs to internalise an action that could really support the cause. A national road map for bioplastics perhaps is a necessity which actually can have many more benefits too. Though a statement to support machinery to produce alternatives, etc. are included in the proposed new regulations, a national road map goes much beyond such a statement. Can a technology package be developed and made available to the industry for adoption to move forward without any risk to occupations and incurred investments to-date? In real societies transitions actually may not be possible without zero business casualties. Electronic mail cannot be introduced while safeguarding the snail-mail infrastructure and similar scenarios are plenty in this era of disruptive change. Sadly in Sri Lanka we are still willing to keep the ‘edanda’ while scorning at the pandit! As per recycling, which we really need to be engaged with, we should understand the power of recycling. Consider the story of the first Chinese woman billionaire, the first woman to be the richest person in China, richest self-made woman in the world – Zhang Yin. She achieved this economic status at the age of 49 in a country, which had a galloping economic engine. However her engagement was different. She along with her husband was scouring the garbage dumps or landfills in United States of America. 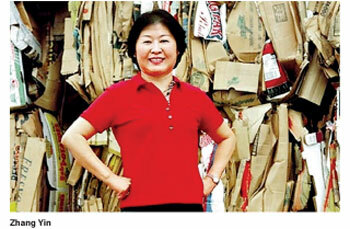 They were recovering paper and cardboard from these landfills and started exporting the collection to China and in time she became the biggest exporter to China from United States. She was essentially benefitting from the inherent value of waste. With time she ended up as the first woman billionaire in China. She also had the sharp business sense to understand the power of reverse logistics as she used to get the space cheaply from ships that were arriving at US Ports from China bringing in goods As the ships had to go back anyway there was plenty of space for her to use at low cost. The collection of waste paper and cardboard was quickly devoured by the expanding Chinese economy and then as packaging to manufactured products the scrap went back to the USA! Today she is running the world’s largest recovered-paper-based paper manufacturing factory, which operates in China – The Nine Dragons Paper. This is not an isolated case and one could find many an example to demonstrate the power of recycling. When nations calculate their recycling rate they do so that with a purpose as there is value in that activity. It is important to indicate Sri Lanka has no validated answer if a query is made to seek out a value for the national recycling rate. Recycling is a concept that is practiced in multitude of ways. Another area of activity one should be aware of is upcycling. Upcycling actually adds more value to the material that is undergoing such a process. Upcycling, also known as creative reuse, is the process of transforming by-products, waste materials, useless, or unwanted products into new materials or products of better quality or for better environmental value. Are we engaged in upcycling? One could identify many instances of such practices such as with textiles, etc. An interesting project that is currently being implemented is a University of Moratuwa project that is being carried out with University of Western Australia. If one is to make a visit to the laboratory, one could find locally-developed machinery ably led by a Sri Lankan researcher who transferred the technology from her PhD work in Australia – Dr. Randika Jayasinghe, who has researched into waste management in Sri Lanka, producing many types of value added products from waste plastics and other wastes. There is plenty of potential for this type of activity to grow into small and medium scale enterprises engaged in upcycling. The opportunity space perhaps is only limited by the limitations of one’s creativity as these type of opportunities result from exercising one’s imagination which when supplanted with technology results in products that can definitely fly! An essential first step in sustainable living is starting to value resources. There has to be the understanding of limited resources and when we all start consuming without limits it is an unsustainable exercise. That is why today we have Sustainable Development Goals with many an indicator. To be seen with SDGs may be caerre-enlivening but what is more important is putting into practice the underlying values. A recent visitor to the island, Pavan Sukdhev, who is an UN Goodwill Ambassador, made an eloquent speech, which had an interesting statement embedded as he argued for greening the accounts. Think when we breathe quality pristine air, we gain in health but incur no payments but when the quality changes, many issues surface but in today’s GDP calculations we may still see positive growth when we are sick too! Pavan’s push is to change from such calculations and not to get misled with such positive growth scenarios when time will tell otherwise. This transition requires definitely responsible living. Internalising this responsibility may involve lots of learning and some lateral thinking. Living with impunity is not an option, I must hasten to add.